The front LED flash narrows the list of potential competitors to just a few names. The likes of the HTC Desire Eye and the Oppo N-series don't really count here. The Sony Xperia C3 is clearly in a lower league but it's exactly the place where a selfie cam can be a key selling point. Even more so if paired with an LED flash. 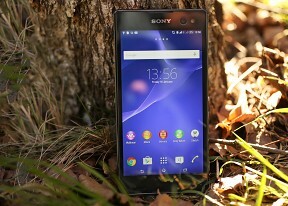 To its credit, the Sony Xperia C3 has more than just a rare front-facer to offer. It comes with an ample 5.5" IPS display and decently sharp too. It lets you choose between LTE and dual-SIM support. The Snapdragon 400 keeps up with Android 4.4 KitKat for a reasonably smooth user experience overall. You get more than decent battery life and adequate inbuilt storage topped up with a memory card slot. And it's not like Sony had to work too hard on this particular package. It's pretty much an Xperia T3 with an upgraded front camera. To be fair, it's a substantial upgrade on paper but the 5MP camera fails to impress - with or without the LED flash. The image quality is underwhelming and the added apps and features don't make a big difference. The lack of Full HD video recording doesn't help its case either. Overall, the Xperia C3 is decently equipped to stand its ground in the midrange and has a unique marketable feature. Whether it's more than just a gimmick is arguable but it's true that a high-res wide-angle front cam with an LED flash is still a rare combo. Very few can match the front LED flash and we really don't think comparisons to the Desire Eye or Oppo's swivel camera would be fair. A couple of more likely competitors on the other hand don't look too capable of challenging the Xperia C3 either. Although a phone - and not a phablet - the Nokia Lumia 735 is more likely to upset Sony's plans. It too is powered by a S400 chipset and comes with smaller but therefore sharper AMOLED screen - with a 720p resolution on a 4.7 diagonal. A little cheaper than its Android counterparts as usual, the Microsoft-powered handset offers wireless charging and a 5MP front camera that's supposedly Skype-optimized for all that may be worth. The HTC Desire 816 dual packs a 5.5" display of 720p resolution, runs on a Snapdragon 400 chipset and offers better rear and front cameras. It doesn't come with a front LED, but it does better when it comes to selfie features, it has more RAM and a faster processor, stereo front speakers and a bigger battery, though slightly worse real-life battery performance. The Desire 816 comes in a single-SIM LTE and dual-SIM 3G flavor as well. They cost the same as the Xperia C3 pair. The recently unveiled Samsung Galaxy E7 is quite attractive with its polycarbonate unibody and the 5.5" Super AMOLED display. The chipset is the newer Snapdragon 410 with 64-bit processing, the RAM amount is also higher at 2GB. For an extra €40 you also get a better 13MP rear cam and a much bigger battery in a smaller and lightweight body. A dual-SIM option is available as well. 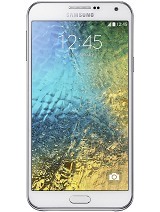 The Lenovo Vibe X2 is a beautiful smartphone with a layered magnesium unibody. It has a smaller 5" IPS display but of higher 1080p resolution, runs on a more powerful chipset with an octa-core processor and better graphics. It's an LTE-enabled dual-SIM package. The camera department is superior and there's 32GB of internal storage, but no microSD card slot. It costs about the same as a Sony Xperia C3. 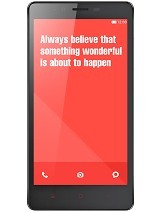 The Xiaomi Redmi Note is a dual-SIM smartphones with a 5.5" IPS screen of 720p resolution. It's also powered by Snapdragon 400 and boasts a bigger battery, a superior rear camera, and the MIUI launcher is just great. The Redmi Note costs about €80 less than the Xperia C3, and while you'll lose the front LED flash, you'll gain a lot more in features. The recently announced Meizu m1 note sounds just great on paper with a 5.5" 1080p screen, a MT6752 chip with an octa-core CPU, powerful graphics and 2GB of RAM. A 5MP front facer complements the primary 13MP camera. The handset is powered by a massive 3,140mAh battery and has both LTE connectivity and dual-SIM support. All that at nearly half the price of an Xperia C3. 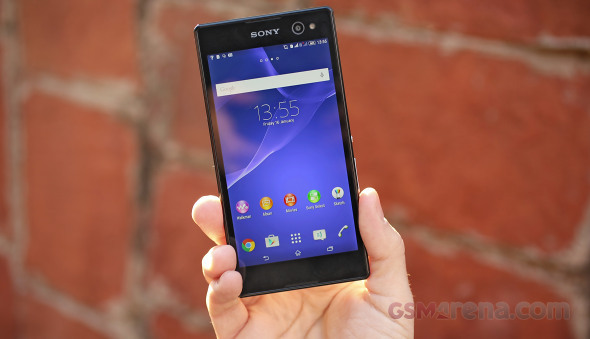 Like we said, the Sony Xperia T3 is more or less the same package and now slightly cheaper. Other than the front cam, everything else is the same: the LTE connectivity, the screen, the Snapdragon 400 chipset, the rear 8MP camera, even the stellar battery life. There is no dual-SIM flavor though. We get that the front camera with LED flash is a feature that can easily be pitched to a specific audience. And with the Xperia C3, there's plenty for Sony's marketing to work with. But it's hard to see the added value for many users - especially since the image quality of the front snapper was a letdown. Even without counting the front snapper, the Xperia C3 is solid enough midrange package. But it's in the midrange that the competition gets really tough. So it will be a tough road ahead for this one.